Ireland Adventure on a Walking Tour! 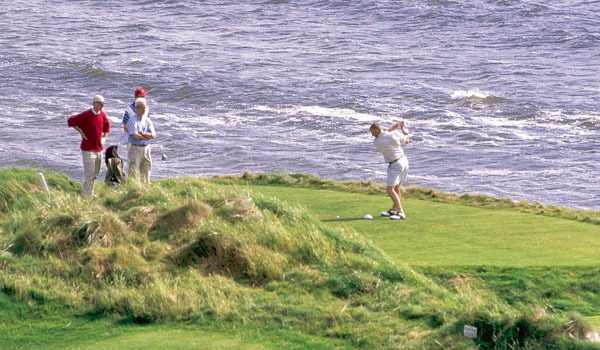 Try Irish Adventure on a walking tour! Looking for an intimate, authentic experience with the country and her people? 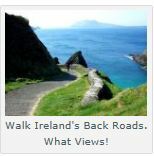 If so, you may want to spend a few days walking in Ireland. You don’t have to be a marathon athlete to join, just open yourself to pure Irish adventure, glorious countryside and backroad surprises. Most importantly, be prepared to have a rollicking, good time with the people you’ll be walking with! Walking in Ireland is a pleasure, an honor, and a promise to respect the land. It is an experience to be treasured once and forever. Authentic Ireland is happy to plan your walking holiday, whether you choose to join a festival, use one of our guides, or go on your own. We will arrange the sort of Irish accommodation you want that follows your path, and wraps you in comfort and good cheer every evening! Best to you from the crew at Authentic Ireland! Best! The Crew at AIT.